ST. CROIX — It’s 4 o’clock on a Monday afternoon as Sarah Jagrup heads to her first class of the new semester. A brief glance at her schedule indicates she has Caribbean Literature in room 401 from 4-5:15 p.m. She is unaware that the class is a video conference course or that the professor is on St. Thomas as she enters the theater in the Evans Center Building. She walks in to find the room in complete darkness and completely empty. Sarah double-checks the room and time on her schedule. Reassured, she turns on the lights and makes her way to the center of the room as she waits for her classmates and her professor to arrive. Ten minutes pass and nothing happens. She is still alone in the largest classroom on campus. Sarah decides to investigate why no one is there and finds out that the class is video conference, so she heads to the library to get help from the IT department. After a thorough investigation to determine which classroom the class is being held on in St. Thomas, the helpful IT technician connects Sarah with her class on St. Thomas. When the connection goes through, she finds they have been conducting class without her for the last 30 minutes. She is the only student registered for the course on St. Croix while there are about 17 or 18 students on St. Thomas. A single person missing is easily overlooked. 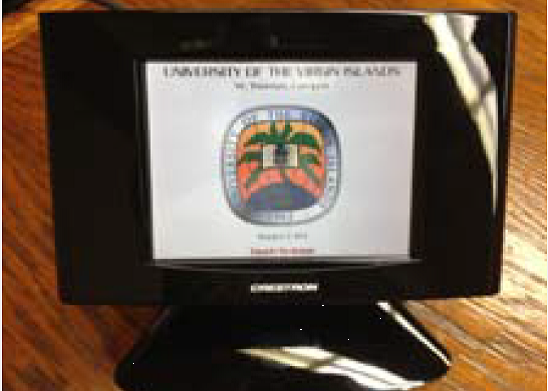 Touchscreen display which controls video conference equipment. Sarah goes through this tedious process of trying to connect with her professor and classmates on St. Thomas every Monday and Wednesday afternoon. She makes it a habit to contact IT before making her way to her class since she anticipates an endless list of issues with the equipment. She is at a total loss on how to operate the video conference equipment herself until six weeks into the semester, when an IT technician decides to show her how to operate the technology. As an education major, Sarah has to have a certain amount of patience, but she confesses that after several days of dealing with lags, glitches, missing out on class time, and being overlooked, her patience was at an all-time low. After such a horrible experience, Sarah developed an aversion to video conference classes, but she would soon realize that video conference and online classes are impossible to avoid at the University of the Virgin Islands, and in any case, it is a totally different experience when the professor is on St. Croix and the St. Croix students have the advantage. Out of the roughly 330 classes currently being taught at UVI’s St. Croix campus – some of them repeated courses being taught by several professors or in different sections – 70 of them are video conference courses and 33 of them are online. Most of these courses are upper level courses and the professors are located on the St. Thomas campus. This means that about 31 percent of all classes being taught on the St. Croix campus are asynchronous upper level courses in which the student either never sees the professor or in which the professor is merely one of several faces on a screen. Online and video conference courses do have their advantages because they allow students to have access to more classes and more professors than one campus provides. Online courses in particular can also be more convenient for commuter and non-traditional students who have busy lives and have a harder time making it to classes on a regular basis. Despite the advantages, students and even some professors seem to prefer regular classes to online or video conference classes. 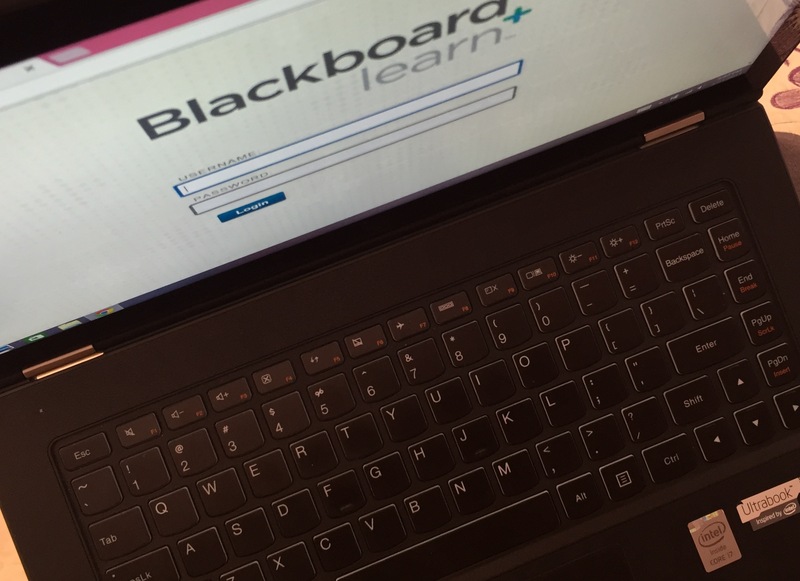 The login page for the site used to connect to classes online. According to Commabatch, online classes force students to be more responsible, to “learn to adjust and be professional” and they are more convenient because they allow him to work at his own pace. “In video conference classes, it is harder to engage with the students,” Dr. Gould said. With about 88 percent of junior and senior level English courses, 85 percent of upper level communications courses, 58 percent of criminal justice courses, 50 percent of accounting courses and 35 percent of upper level psychology courses – just to name a few – currently being taught online or via video conference, UVI professors and students are no strangers to the varied class formats and most have their preferences. “I can’t engage in an online class when the professor is on St. Thomas, but now that I am a senior, I just don’t care anymore,” Sarah said. “I don’t think it’s fair for students on the remote campus,” Dr. Combie said. Despite the challenges of asynchronous courses, they play a crucial role in our campus and, when the technology works and the students are kept engaged, these courses can be effective and provide the campus with a useful resource to connect with not only St. Thomas but St. John as well. Without video conference and online courses, there would be over 100 fewer classes at UVI and taking the necessary classes would be an even greater challenge for students trying to graduate in a timely manner. 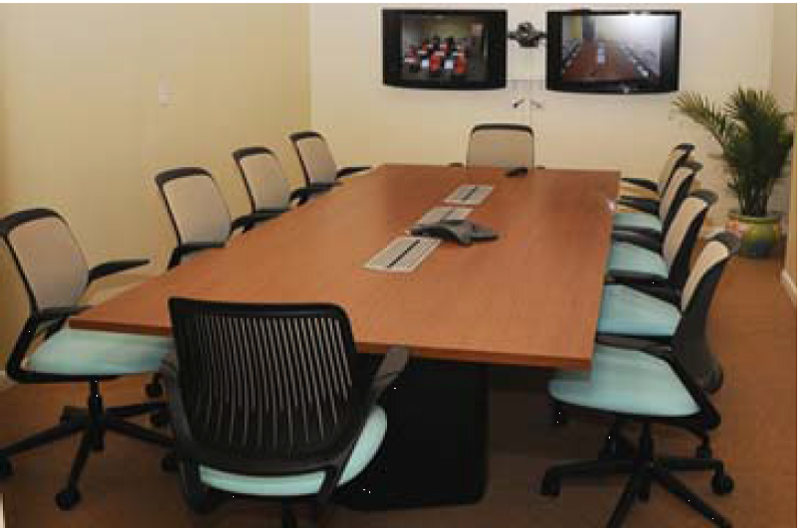 Video conference classroom in the St. John Academic Center, allowing students to connect with the two main UVI campuses. For students like Sarah Jagrup who have had horrible experiences with online or video conference classes, that motivation is hard to come by or maintain. 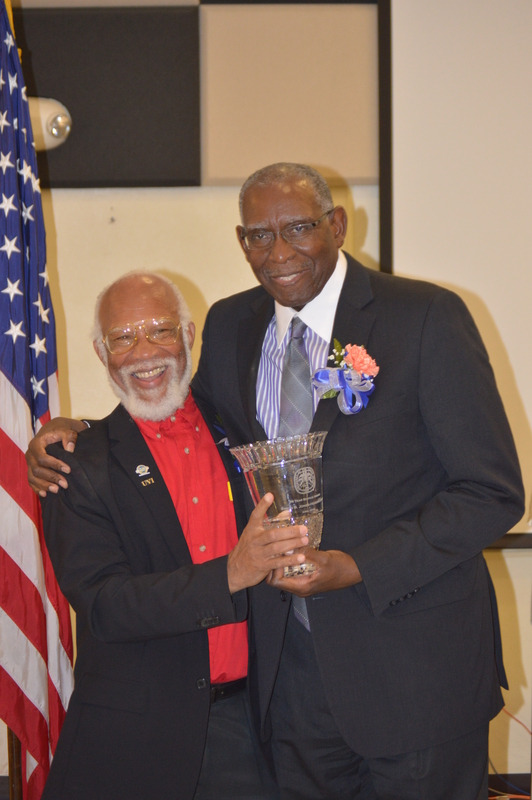 ST. CROIX — The University of the Virgin Islands “celebrated their employees with high esteem for 2015” on Tuesday, April 14, at the 41st annual service awards on the Albert A. Sheen Campus. 30 employees were awarded for their outstanding service and dedication to the university, with honors from employee of the year, perfect attendance and extensive years of service. Guest speaker, Marilyn Brathwaite-Hall, thanked the honorees for their service and acknowledged that they had in them 6 universal ideals that shaped their lives: Career well-being,social-well being, physical well-being, financial-well being, community well-being and spiritual well-being. Awarded for five years of service was: Maritza Belardo-DeCosta, Luis Carino Jr., Bernard Castillo II, Beulah Lateef, Margaret Maynard, Gabriel Ogunmokun, and James Gordon. For 10 years of service, Glendaley Carrasquillo, Leroy Gardiner, Iren Hatchett-Sealer, and Lorna Williams-Sutton were awarded. 15 years of service was awarded to Celestine Cuffy, Ephraim Rodriguez, Angel Gonzalez and Donna Gonzalez. Holly Gayadeen was awarded for 20 years of service. Fracisca Barry, Maria Fleming, Maria Friday, Aubrey Washington and Nereida Washington received an award for 25 years at the University. For their 35 years of service, Simon Jones-Hendrickson and Alan Lewit were recognized. Hendrickson was also acknowledged as a retiree along with Velma Tyson and Jillean Clarke-Webster. Perfect attendance was given to William Gonzalez and Clement Humphreys and employee of the year was presented to Fiola Alexander. Cherie Wheatley also presented W.O.W (We Overachieve Willingly) awards to those who provided excellence in service delivery and connected to their customers in a special way. The ceremony concluded with words from Cleveland Tonge, followed by a small reception. ST.CROIX – “Dare to be true. Dare to be you. 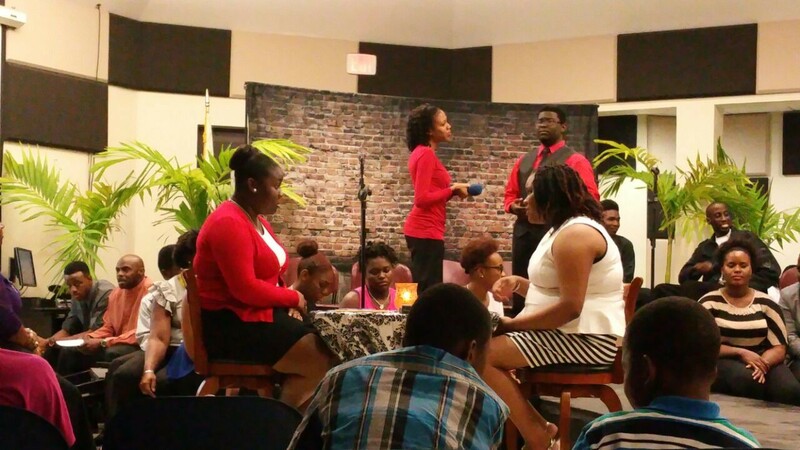 Dare to be,”— the University of the Virgin Island’s Voices of Inspiration Community Choir left this message with their audience on Saturday, March 14 when they hosted their first of several community outreach initiatives this semester. 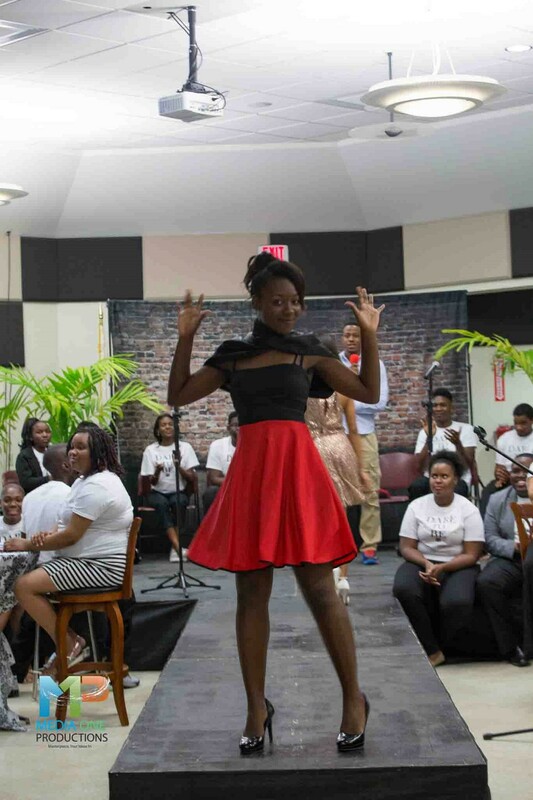 Through the performing arts, the VOICC delivered a lively performance in the Great Hall by combating low self-esteem, bullying and other issues plaguing young people ages 12 through 21. VOICC Director Josephine Thomas-Lewis felt led to take on the venture because of a combination of inspiration. “Because I am a teacher, I see kids in that age range being unsatisfied with the skin they are in,” Thomas-Lewis said. She saw how low self-esteem affected her students’ academic performance and rendered them unwilling to focus. “We wanted to dare our students to aim higher, stretch further, and to trust they can do more than they realize,” she said. For a less intimidating setting, the UVI Great Hall resembled a poetry club, complete with a stage, runway, brick backdrop and two standing microphones. Two high, round tables with surrounding chairs stood on each end of the runway. As the show began, a flurry of voices immediately filled the Great Hall. These voices came from two large, yet separate groups of chatty choir members who entered the room through one a side door. This fictional class of 1995 walked down the aisles, greeted one another with hugs and engaged in small banter before finally making their way to the stage. Scene One delivered a message on bullying as lead characters, Franciene and Cameron appeared at their 20th class reunion. Both were severely teased, but Franciene more so because of her weight. Characters Franciene and Cameron share stories about being bullied in school. 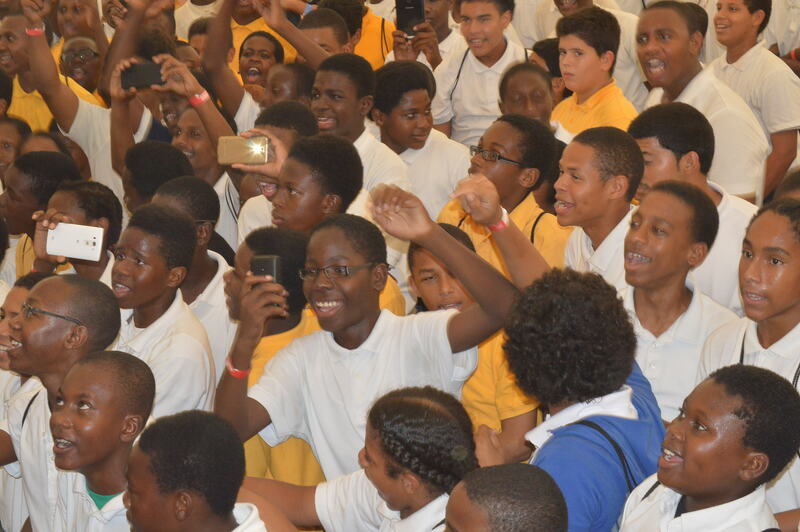 This led to the choir’s first musical selection and a motivational speech from Jaecena Howell. Howell recounted her challenges raising $5,000 in three months, but was able to do so through her perseverance. She believed anyone could achieve the seemingly impossible if they took on the challenge. In Scene 2, Liz Combie stepped on stage to discuss the importance of value. In addition to her talk, Combie demonstrated how past relationships can affect future ones by calling three young men and women from the audience to participate. In Scene 3, characters Tania and Crystal recounted their past self-esteem issues. They both made personal comparisons to others they thought “had it all,” but overtime learned to accept themselves. Franciene re-entered the scene to remind Tania that she didn’t have to “try so hard” to have others accept her. During the skit, some cast members found themselves in some of the characters. UVI alumni Wyndi Ambrose played Franciene, but related to Crystal. Crystal was a character who felt she was too skinny and needed to be shapely to garner attention. “In some ways, I felt I identified the most with [Crystal],” Ambrose said. Like Crystal, Ambrose once thought that having a certain physique would make her feel better about her slim frame, but Ambrose realized that beauty was not solely based on physical appearance. After intermission, the choir donned their “Dare to Be” T-shirts and returned to stage. As Almonte recited the dramatic piece, she captured both attendees and performers alike. This portion focused on how many young people continually made their insecurities visible to others. “What do you see?” Evans rhetorically asked, as each young model slowly walked the stage annex. After brief dialogue from Evans, the young women confidently returned to the catwalk. This time, each girl wore her smile and a stylish dress. Loud cheers and whistles filled the room as the models and brave young men alike strolled onto the runway. In this case, Ambrose felt this segment encouraged crowd interaction. 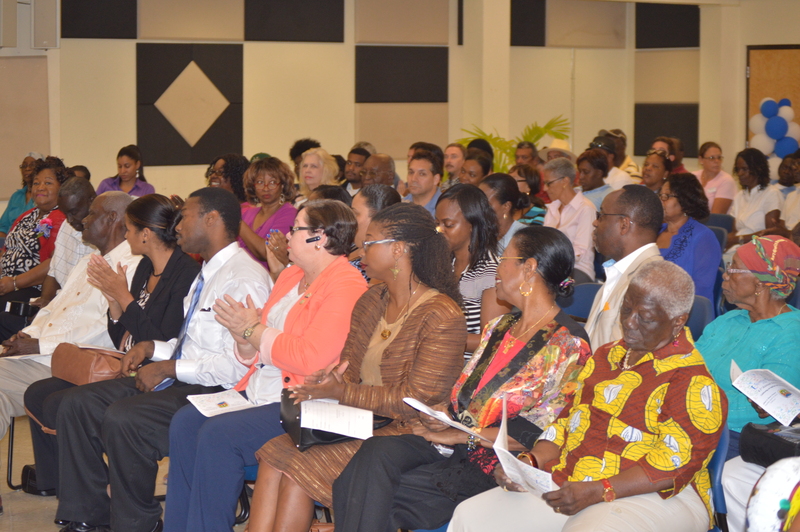 Overall, attendees enjoyed the program. Dare to Be model wears a smile as she walks down the runway. For UVI student Gary Papin, the program theme “Dare To Be” challenged individuals not to place limitations on themselves. The last presentation that really impacted Papin was the speech given by Gregory Evans. “He said that statistically, at least one male in this room might be going to jail. It was a surprising realization as to how many young men, or men in general are incarcerated. But in spite of that, he also said that if you were living a lifestyle that could lead to that outcome, it’s not too late to make a change, and that is a message that needs to be heard by the men who still have a chance,” Papin concluded. In addition to the overall message, Papin saw it play out in an interpretive dance during intermission. “It was basically a girl dancing with mirrors around her and she’s basically trying to find out who she is and not be molded by the reflections of society and people and what-not,” said Papin. Aside from audience members, choir participants found certain elements touching. For 20-year-old national student exchange student, Shermaine Blake, Almonte’s spoken word performance was empowering. “Her energy and heart was all in it,” Blake said. In addition to Almonte’s presentation, Blake also enjoyed Liz Combie’s demonstration. Lastly, VOICC offered to serve as big brothers and sisters to the children who attended and contact the children if they ever needed assistance with schoolwork. The VOICC will be hosting their spring concert on Saturday, April 25. Anyone wishing to receive more information about the event can call or email Josephine Thomas-Lewis at 690-5269 or voistx@myuvi.net. 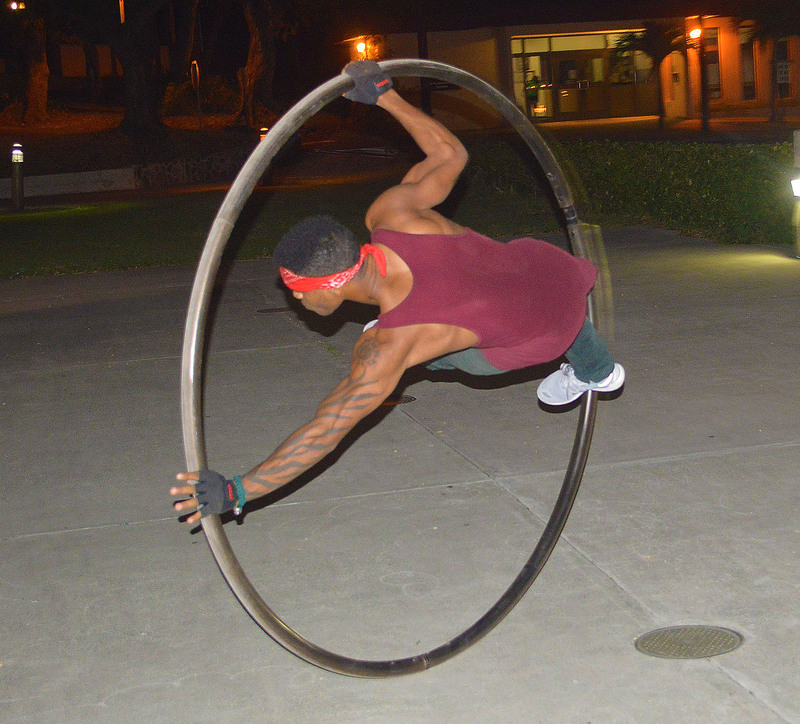 ST.CROIX — Musicians, magicians, and several other performances created a melting pot of talents Thursday night on the University of the Virgin Islands’ Albert A. Sheen Campus. The student government association hosted a free event called “UVI Mix” in order to welcome the UVI community for the new semester. Although late to start and a few minor mishaps, the event—which was held near the cafeteria—kept a pleasant atmosphere from start to end. “This event seemed more inviting. 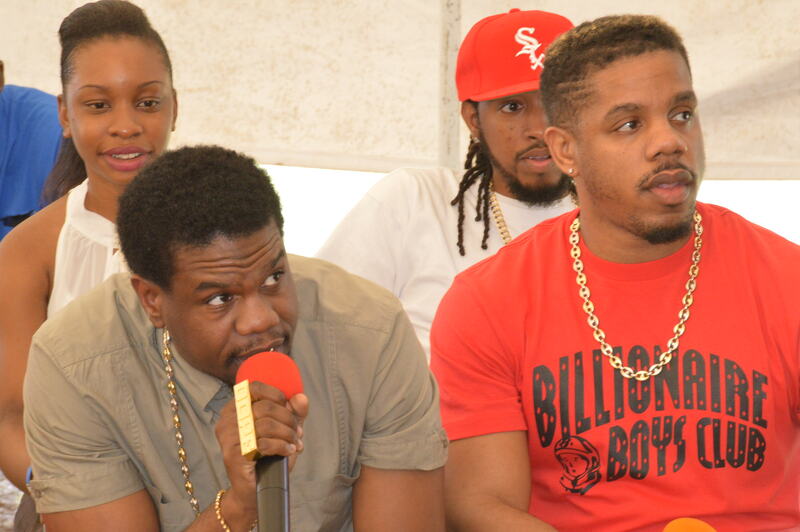 Everyone at UVI with Talent gets a chance to express themselves and that’s nice,” Hanley said. Hosted by Kareem Eugene, also known as “Mr. 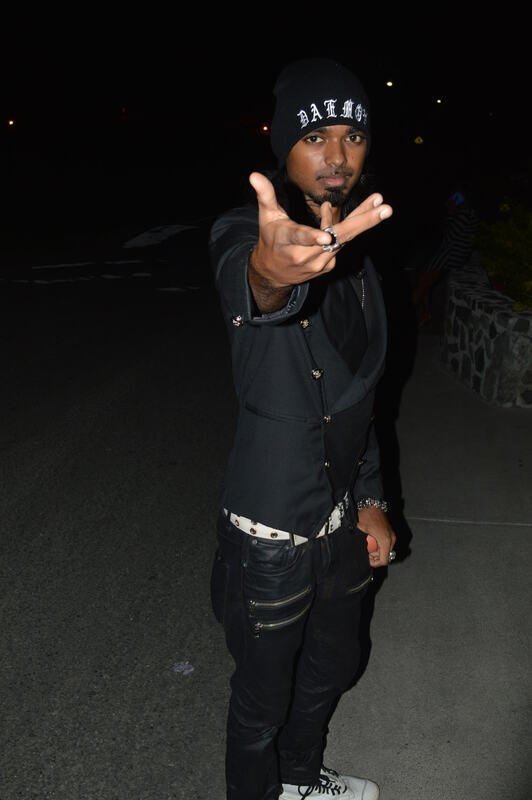 Bash,” the line-up gave context to the name “UVI Mix.” Musicians included: DJ IQ, the Tenshaun Band, Lance “Daddy D” Greenway, Blackest, Jahmani Johnson and BMR which included KM1, Omi-D, and Baby Muzik. The line-up for rappers were: Cheddi “Wap Wap” Rogers Jr., Johnathon Coston,Dem Rude Boyz, Kalunda, and Elmo. Other performances included: Cody Cook, acrobatics by Antonio Cruz, and a magic show by Johnny Daemon. Daemon performed on the campus back in 2010 and currently performs at three resorts on Island: Carambola Beach Resort, the Buccaneer, and the Palms at Pelican Cove. A six-year-veteran in his art, Daemon wowed the crowd by selecting three words from three different individuals from a sealed box. Cheddi Rogers, also known as “Wap WAp” and one of the word providers, still does not believe it. “I never want to stop moving,” Cruz added. From the musician’s standpoint, Greenway’s reason for accepting the invitation to perform was all about the music. “We’re letting the people know that carnival ain done yet,” Greenway said. But it wasn’t just about the music either. “Education is key, coming together and music. It all goes around,” Greenway said. During the first three days of the spring semester, a decline was noticed in the presence of students on campus that left student government president, Sophia Johnson, wondering “Why was UVI so empty?” However, Thursday night’s turnout of over 50 people—visitors and students alike—showed that with the right motivation, students will come. 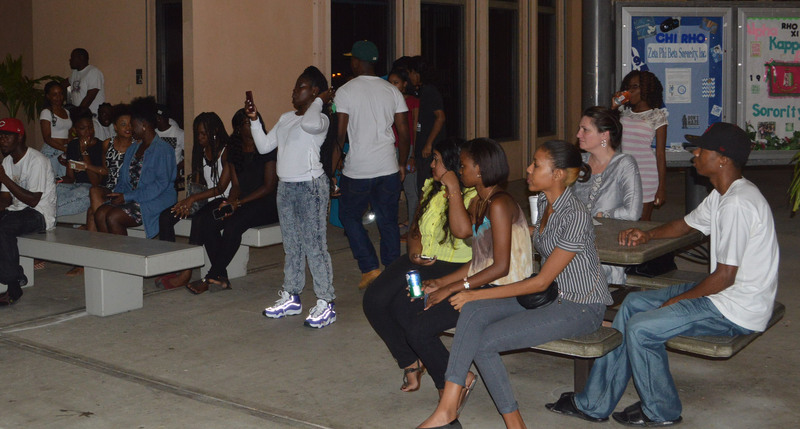 ST. CROIX – Over 50 students attended the University of the Virgin Islands’ 2014 Campus Leadership Development Conference at the Renaissance St. Croix Carambola Beach Resort and Spa. 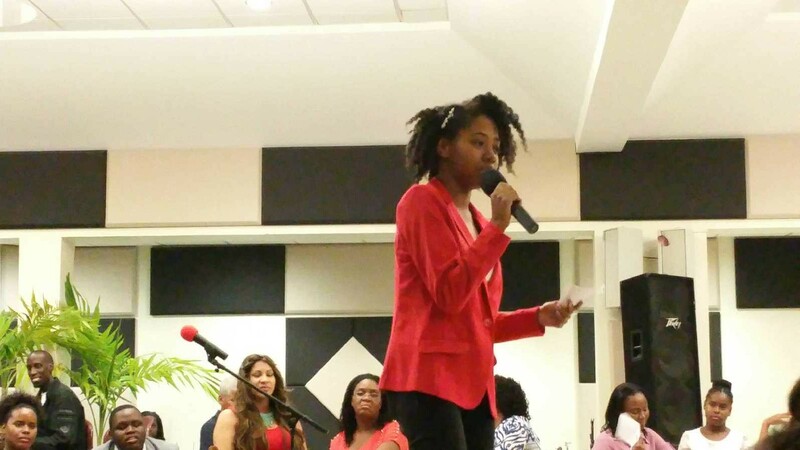 St Thomas – As the only HBCU in the Caribbean, UVIs alumni and supporters has gone above and beyond with their efforts to achieve their goal for the annual giving rate for the 2013-2014 fiscal year. The percentage of alumni donating was fifty-two percent, the highest recorded for any Historically Black College and University.